Read to watch Cricket World Cup online and live? Well, if you do not read this guide then forget about it. The year 2019 has managed to provide a ton of entertainment to cricket fans all around the world. From batsman making it seem like bowlers are nothing but ball machines to top cricketing players cursing like sailors on the field. It seems like we have seen anything and everything that cricket can give to us. Now, although a good portion, of cricketing fans in all corners of the world, is pretty excited about the series Pakistan vs Australia that is coming up next, it is nothing but a warm-up tournament for what cricketing fans will get to experience a little later. We are referring to the Cricket World Cup 2019. And everybody should learn how to watch it online and live. The Cricket World Cup 2019 will provide you with a ton of opportunities to entertain yourself. You don’t need to tell us that at such a big sports tournament, the action will be more or less non-stop. As for people who want to clear up their schedule to watch the whole tournament, they should know that the Cricket World Cup 2019 will take place from May 30th to July 14th. In this comprehensive guide, we will show readers pretty much all that they need to know in order to stream the Cricket World Cup 2019 online and live. The Cricket World Cup 2019 is the biggest tournament of the year, so you better listen up real close now. Users need to know that the latest edition of the Cricket World Cup is the 12th edition since the tournament began. And these are the channels that will broadcast the whole of Cricket World Cup 2019 live and online. While you go through the list, you need to know that some of the channels will be free while others will demand a premium. Now, the thing you need to know about these channels and streaming options is that each and every time some online consumer makes an attempt to access any of these channels, the channel website or app will look at the consumer’s IP address. Only after confirming the IP address will these services allow the consumer to tap into their online content. The other thing we want to mention here is that each of the channels that we have mentioned above work only for specific regions and/or countries. Hence, if you do not happen to have a valid IP address and are not present in the required region then you cannot stream the Cricket World Cup 2019 from these streaming services. Did we tell you that you can watch ICC Cricket World Cup 2019 online and live without facing any of the problems that we have mentioned above by simply making use of a VPN service? Just Use a VPN service and watch Cricket World Cup 2019 from any location on the ap. That is actually the exact job for which a VPN exists. VPN services have become exceptionally effective at changing your original and real physical location. More specifically, it can change your location to any specific territory or country that you want to. All that you have to do is to connect to a VPN server that is located in the country of your choice. To take an example, let’s say you want to stream something from some service that is only available to people living in the United States of America. Then what you would do is you would connect to a VPN server that is located in the US and then get an IP address automatically. Once this is done, you will have complete access to channels such as Willow TV, and probably a lot more, that offer content that is US-restricted. Needless to say, the same holds true for a lot of other channels that we have mentioned in our list. We’ll say this one more time that pretty much everything would depend on which server you would choose to connect to. For more clarification let’s elaborate a bit more on what we have said so far. So here is how you would go about unblocking a channel like Sky Go with the use of a VPN to watch Cricket World Cup 2019 live and online, for example. Now, assume here that you live in the UK but have left the UK for business or studies or whatever. If that is the case and you also want to watch Sky Go then you will find that you will get a geo-error message which pops up. The message would tell you something along the lines of how the video that you are making an effort to watch and consume is not available for a view from your current location or country. So what you do is that you go and research a good VPN service for the job. And while we would love to give a single VPN service as the best VPN for watching ICC Cricket World Cup in 2019 live and online, the fact is that there is no single VPN that is best for the job. Different VPN services target different types of users, so it does not really make sense for us to mention a single VPN service for all of our readers. What we do is that we recommend the list of best VPN services that the industry has to offer for users who want to watch ICC World Cup 2019. Click here to read that guide now on best VPNs for Cricket World Cup live and online. We’ll also talk more about how you can go beyond with a single best VPN in the guide that we have mentioned above. Coming back to the part about making use of a VPN service in order to unblock a streaming channel to watch ICC Cricket World Cup 2019, what you need to do is sign up for a good VPN service. Then you need to go to the official website of the VPN service. Once there you have the option of selecting the correct VPN application which will usually depend on the type of platform that you want to stream content from. The good VPNs usually offer VPN clients for any and all major internet-enabled devices such as FireStick, Mac, PC, iOS, and Android. When that is done, you need to download the appropriate application and then install it on the Internet-enabled device that you want to stream your cricket matches on. After that, you need to open up the VPN app and then you need to sign in using your new VPN account credentials. On that note, we would also like to mention that if you are no satisfied with the service of your VPN then you can always ask for your money back by making use of the 30-day official money-back guarantee. Now, once you have signed in to your VPN app, you need to go to the VPN server selection screen. This should not be a problem for you anymore since VPN apps are very user-friendly now. Once on the appropriate screen, you need to make sure that you connect to a server that is based in the UK since you want to access Sky Go. With that out of the way, you should know that the process would remain the same if you want to select another channel. Just make sure that you change the location of your VPN server according to where you want to unblock a streaming service or watch a sporting event. Now, once the VPN app has successfully established a connection you need to launch the official application of Sky Go or the official website. The last step is to start streaming content abroad as if you are at your home. We know that a lot of online consumers face geo-restriction issues. What we also want to let you know is that good VPN service providers do not have a problem with solving that issue for you. Click here to read more about the best VPNs that the industry has to offer to get you away from any and all geo-restrictions. The first thing that you need to know here is that Willow TV is probably your best chance of watching the ICC World Cup 2019 in the United States of America. It is nothing but a paid television channel. It devotes most of its resources to broadcasting overseas sporting events related to cricket. 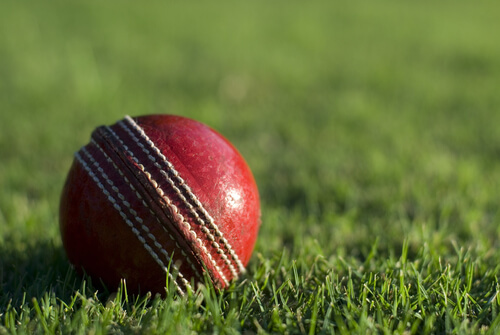 More specifically, Willow TV is perhaps the only channel in the US that offer 24/7 cricket matches. As mentioned before, Willow TV only does that for people living in the US. Of course, that does not change the fact that people living in the US have a great chance of finding lots of cricketing events to watch and enjoy. Now, the other thing that you should know is that if you have a desire to access any channel, you will have to have a cable subscription. Internet-enabled devices such as PS4, PS3, and Roku. Fans of Apple TV should know that Willow TV has started to offer a dedicated application for that platform as well. How to watch the ICC Cricket World Cup 2019 in the United Kingdom? Well, as we have mentioned before, Sky Go is the service you want to stay with if you want to watch anything good related to cricket in the UK. The best thing about using Sky Go is that all subscribers get to have access to a ton of Sky channel content and that too on the go. The other thing is that Sky Go has managed to get the exclusive rights to broadcasting the Cricket World Cup 2019. 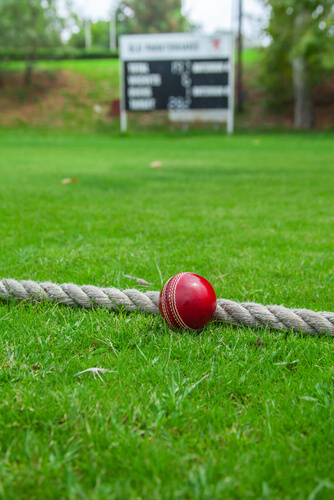 Hence, if you are one of those users who live in the UK then Sky Go is the streaming service that you should get in order to watch Cricket World Cup 2019. As for the cost, our research shows that the actual price that you will have to pay for Sky Sports plus the relevant Entertainment channels is around £12/month. And if you want to add extra sports channels such as those of ESPN and others then you will have to add to that either £12/month or £9 per month depending on if the user has subscribed to these add-ons in addition to Sky Sports. If you already have subscribed to Sky Sports then you will have to pay the lower fee of £9 per month. Hotstar is the one streaming service that has taken the Indian market by storm. In the process of doing so, it has become the best streaming service in India. Now, you should know that Hotstar currently has two subscription packages. There are Hotstar Premium subscription packages that offer users American TV shows along with the latest episodes of some of the most popular Indian shows along with Hollywood blockbusters and, needless to say, infinite Premier League and Cricket content. Of course, on the other hand, there is the second subscription option called the Hotstar VIP which mostly focuses on content produced in India. With the higher priced subscription package you have the option of viewing all Indian shows and Indian movies close to their release days. This is pretty much it in addition to Formula 1 and Cricket. How to watch ICC World Cup live and online in South Africa? Well, if you live in South Africa, your best option to watch ICC World Cup Live is by making use of SuperSports. Our research shows that it is one of the oldest and most accomplished channels in the whole region. The best thing about this channel is that it is completely dedicated to sporting events whether on demand or live. SuperSports now have enough resources available to broadcast pretty much anything and everything related to sporting events. That is, major sporting events. Our research shows that SuperSports was by far the biggest channel in Africa to broadcast cricket and Rugby until Sky Sports managed to overtake it. Of course, that should not matter to you since SuperSports is still great. And Sky Sports has no need of putting down Super Sports in order to rise through the ranks of best internet TV channels and otherwise. If you want to access anything and everything that SuperSports has to offer then you need to subscribe to DStv Premium. Moreover, you will need an active PVR. Here are the packages that DStv offers to users currently (all prices are for monthly packages). How to watch Cricket if you are in Canada? If you want to watch Cricket in Canada then you will have to find a way to get access to Foxtel Now. Readers should know that the old name of Foxtel Now was Foxtel Play. That name is not used anymore. Foxtel Now is essentially a complete television alternative to your conventional Foxtel subscription. More specifically, it is on-demand and live service that has no interest in hooking up users to its service unfairly for long periods of time with lengthy contract obligations. Once you have subscribed to the service, you have lots of options in the form of over 50 live channels and most likely, hundreds of hours of content that is labeled as video-on-demand depending on the type of package that you select. You can check out the service’s official website if you want to know more about their pricing and packages. With Everything package for $79 per month. You will need the OSN Play service. It is yet another on-demand and online streaming service that focuses on bringing high-quality content to people living in the Middle East. Depending on the OSN TV package that you have subscribed to, you have the option of accessing specific high-quality content for your streaming needs. As for the price, our research shows that you have to pay around $30 per month in order to stream any kind of content that is available to users in the Middle East. How to watch Cricket World Cup 2019 online and live in Pakistan. People living in Pakistan can watch everything related to Cricket World Cup 2019 on PTV Sports. PTV Sports, as always, has full and exclusive rights to broadcast CWC matches in Pakistan. Of course, PTV Sports does not just cover cricket. In short, if you want to make sure that you have access to a good streaming service in Pakistan then stay with PTV Sports. If you have a cable subscription package in Pakistan then you do not have to pay anything to watch it in Pakistan. However, if you do not live in Pakistan then you will have to use a VPN service to unblock channels here. We have already mentioned the process for that. Just make sure you sign up for that VPN service that offers users VPN servers in Pakistan so that you can get an IP address in Pakistan. 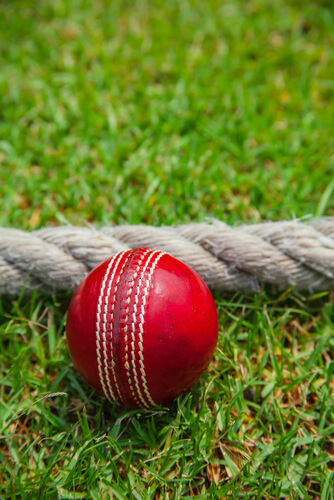 Since England is hosting the 12th edition of the World Cup, there is a huge range of venues that you can go to and watch high-quality cricket. The final of the ICC Cricket World Cup 2019 is scheduled to take place on 14th of July 2019 at Lord’s in London.